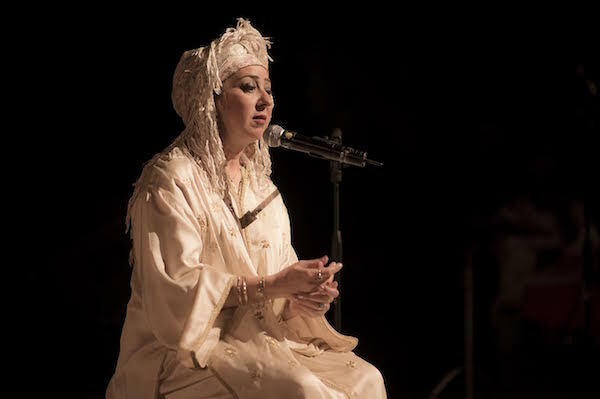 Casablanca - The connection between written and oral traditions was the central theme at “Cantares del Norte de Marokko” (“Songs of Northern Morocco”) at the Mohammed VI Theater in Casablanca on April 14. 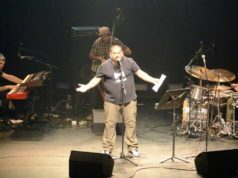 Casablanca – The connection between written and oral traditions was the central theme at “Cantares del Norte de Marokko” (“Songs of Northern Morocco”) at the Mohammed VI Theater in Casablanca on April 14. 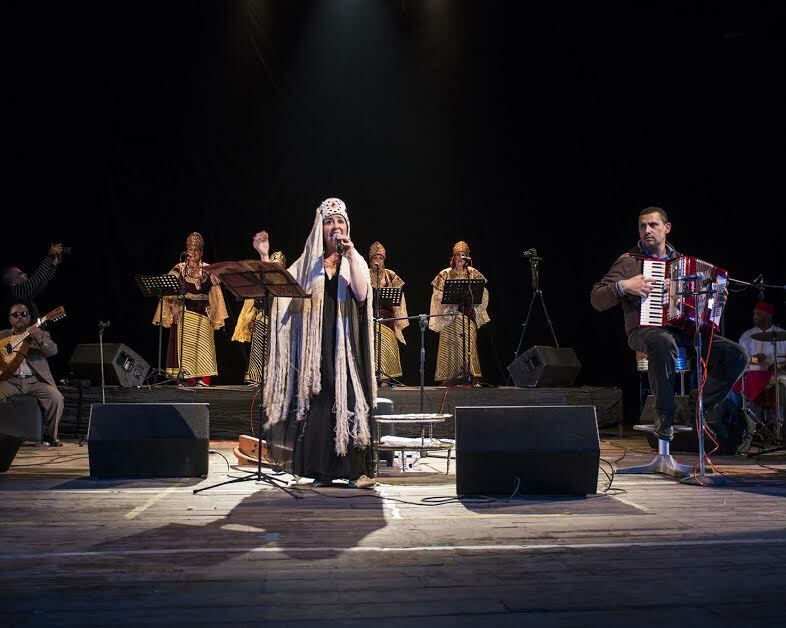 Vanessa Paloma, an internationally-acclaimed Colombian-American singer specializing in Sephardic music, gave the concert, which featured Jewish religious songs, Romances and traditional marriage songs from northern Morocco. For Paloma, who began singing before audiences at the age of seven, her interest in Sephardic music stemmed from her academic studies in medieval music and her personal connection to Judaism. “I wanted to find a way to marry these two parts of me. That’s when I decided ‘okay, I’m going to really focus on this Sephardic repertoire,’” Paloma said. Paloma received a Senior Fulbright Research Grant, which allowed her to spend a year living in northern Morocco with the Jewish community while researching the region’s Judeo-Spanish women’s songs. 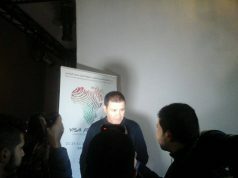 The academic and musical artist has now lived in Morocco for eight years. She is currently finishing her PhD at the Sorbonne’s Institut National des Langues et Civilisations Orientales and regularly travels internationally to perform. 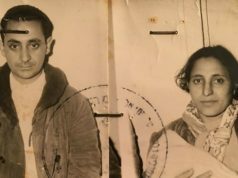 In 2013, Paloma founded KHOYA: Jewish Moroccan Sound Archive in order to collect, digitize and preserve Moroccan Jewish songs and oral histories for future generations of Moroccans. According to Elbaz, it is Paloma’s unique repertoire which appeals to the accomplished musicians who perform with her. It is through the Romances, Paloma argues, that the community was able to transmit moral lessons from one generation to the next and discuss taboo topics, such as sexual propriety. 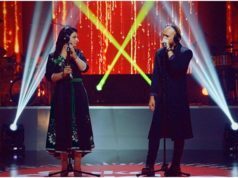 During the show, Paloma performed a special version of the prayer “Ein Keloheinu” that originally comes from Slat El Fassiyine Synagogue in Fes. Although the prayer is usually sung in Hebrew, Jews at Slat El Fassiyine sang Ein Keloheinu in three languages: Haketia, Judeo-Arabic and Hebrew. 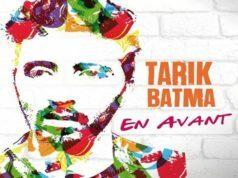 In the southern city of Taroudant this three-language version of the prayer was also sung once per year. Paloma began the show wearing a hand embroidered dress originally made for a wedding, along with a traditional headdress worn by Moroccan Jewish women during parties. Later she donned another wedding outfit complete with a crown-shaped headdress covered in pearls called a jemar and a 150-year-old silk shawl. The choir of four women accompanying her during the program’s marriage songs were in berberisca outfits typically worn during the “Noche de Berberisca,” the henna ceremony that precedes weddings. According to Paloma, the repertoire’s songs reflect women’s unique power in the Moroccan Sephardic community. “I actually believe that these songs show how the community values women’s power, but you have to learn to look at it from a different approach to power. It’s not the power of institutions; it’s the power of the social nexus. The power of the social nexus is a feminine power in this community,” Paloma said. Videos of Paloma performing traditional Moroccan Sephardic songs can be found on the artist’s website: vanessapaloma.com.